Glowing fairy lights, or night lights, combine green crafting with practical functionality to produce thrifty entertainment. Collect empty jars, make a quick trip to the craft store or dollar store, and you’ll be ready to go. Glow sticks are thin glass tubes encased in plastic. When you snap the glass, the chemicals inside react to create a soft glow. 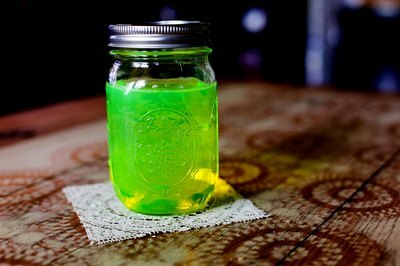 You can transfer that glow to your jar, but you need to be cautious; the contents are toxic if swallowed. Also, wearing rubber gloves protects your hands from staining. Simply snap the tube, snip the end off the plastic casing and shake the contents into the jar. The spatters absorb the light and glow after the lights go out. Give your highlighters a new purpose by extracting a shimmering liquid to make glow jars. To extract the liquid, first crack the highlighter's plastic case and remove the colored wick. Soak the wick overnight in water -- this adds luminescence and color to the water. 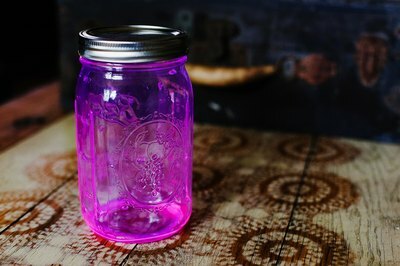 Transfer the fluorescent, glowing water to a jar and seal tightly. 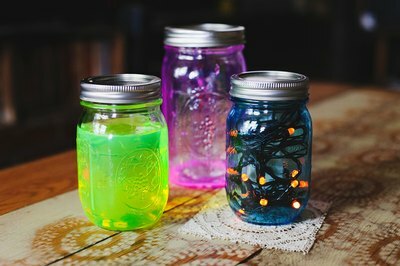 Use glow-in-the-dark acrylic paints to apply glowing spots that mimic fireflies on the inside of your jar. For the easiest dots ever, dip a brush into the paint and lightly daub it inside the jar. You can also daub the exterior of the jar. 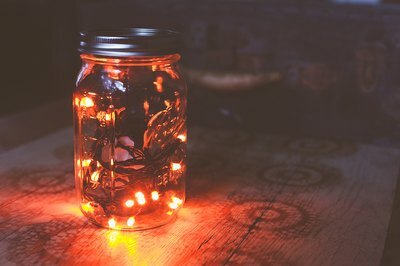 Recycle old canning jars and plain solar garden lights in another version of glow jars. Decorate the exterior of the jar with painted bugs, flowers or other designs, if you choose; these embellishments add color during the day and create silhouettes at night. 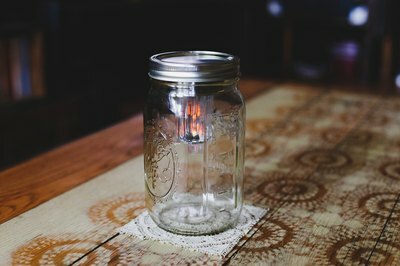 Place the jar mouth over the light and use electrical tape to hold it in place. You can also use industrial-strength adhesive for a permanent connection. When you stake the new lamps in your garden, they look like floating light bulbs scattered about. 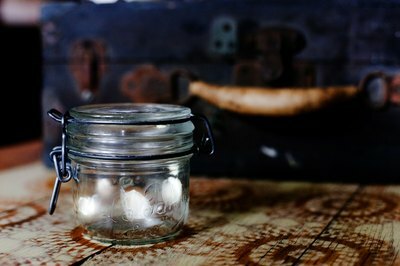 For a quick solution, coil a string of battery-operated LED lights inside the jar and replace the lid. The tiny lights glow like fireflies. They look even more like the little bugs if your light string includes a flasher.